Sometimes, a plastic bucket just doesn’t cut the salami. That’s when you have to recruit the only material stronger, tougher and more versatile – steel. Metal 5 gallon buckets are much harder to find than standard plastic ones. They’re also more expensive. Metal has been replaced with plastic in most applications. The only exceptions I can find are paints, industrial lubricants and other similar heavy industrial applications. 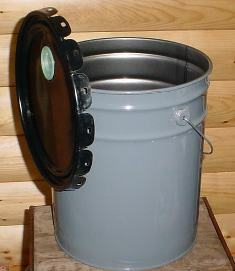 Some 5 gallon bucket projects or applications, including ones on this site, require a metal bucket. A great example is the 5 gallon rocket stove. Although rocket stoves HAVE been made of plastic, it’s not safe or healthy to breathe in those fumes. 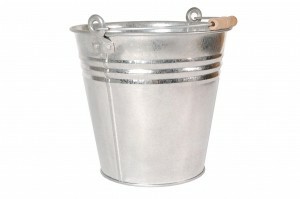 Smaller metal buckets like the ones pictured are trendy in the organization and crafting communities. They are easier to locate and quite a bit cheaper than their grown-up five gallon siblings. A metal bucket can tolerate a great deal more heat before melting, and can withstand more weight and pressure than a plastic bucket. 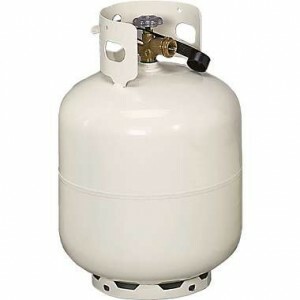 The most pressurized five gallon metal buckets you are likely to come across are actually propane tanks which are normally built to withstand a crushing 960 psi. By way of comparison, the surface of Venus is just a tad thicker at 1,300 psi. Some people prefer metal buckets because plastic toxin concerns. There is some evidence to suggest that plastic leachate has heath consequences, potentially serious. The BPA-free movement addresses plastic health concerns, but many health concious people argue that BPA is only one of a multitude of plastic toxins. An even larger issue with using plastic is that every piece of plastic we’ve ever manufactured is still with us today, because it doesn’t break down. Much plastic, after reaching the end of its useful life, ends up clogging up our oceans. This may be a serious issue. 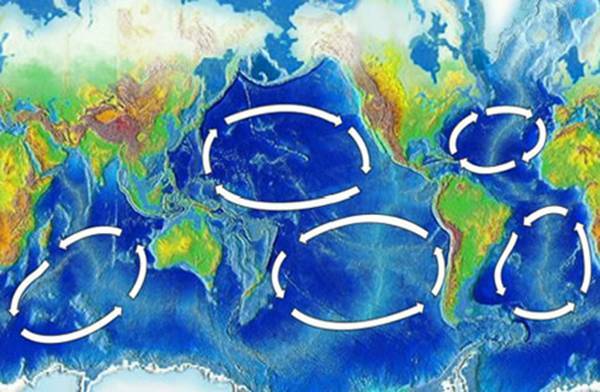 Here are the spots where all that plastic ends up. Although metal buckets are more durable, they can dent when abused. This means that if a bucket sees a lot of motion and banging around, it’s best to go with plastic which will hold its shape better. Metal buckets are usually made of stainless steel which makes them highly resistant to rust – although some cheaper metal buckets can rust out quickly if you’re not careful. It’s worth doing your research before using them for “wet” applications. Metal buckets cost more. The easiest way to buy individual metal buckets is on Amazon, where one metal bucket costs about 5 times a plastic one. 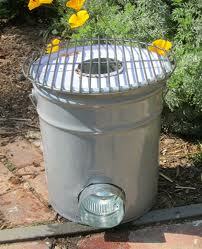 The most popular use of a metal bucket today is as a rocket stove. See our video Heating with 5 Gallon Buckets for a basic primer on rocket stoves and rocket mass heaters. A pressure canner, water bath canner or stock pot is really just a metal bucket that you use for cooking. Since 5 gallons is the perfect capacity for most human applications, these cooking vessels usually weigh in at right around 5 gallons! A very well made metal buckets can be turned into a boiler for steam engines. 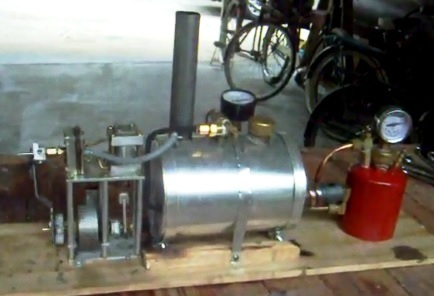 I have a friend who builds his own steam engines using a metal body. He plans to drive his steam engine from the pacific northwest all the way to Florida. And lastly, Five Gallon Correspondent Jeremy Cook has built a cheap Hang Drum out of a 5 gallon propane tank. If you can find free metal buckets, that’s fantastic and I’d love to hear your source. I’ve checked with a few hardware and paint stores where I know they use them, but no one was willing to sell me one much less give them away. 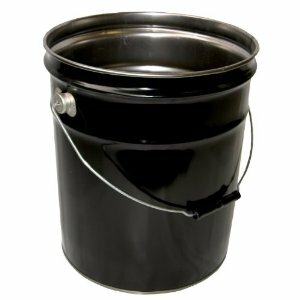 I know metal 5 gallon buckets can be purchased online, but as with any bucket purchased online, shipping costs are relatively expensive. The small crafty metal buckets are relatively easy to find. You can get basic ones on Amazon or super-fancy decorated ones on Etsy. If you’ve got way more bucket budget than I do, you can buy metal buckets by the pallet from Alibaba. 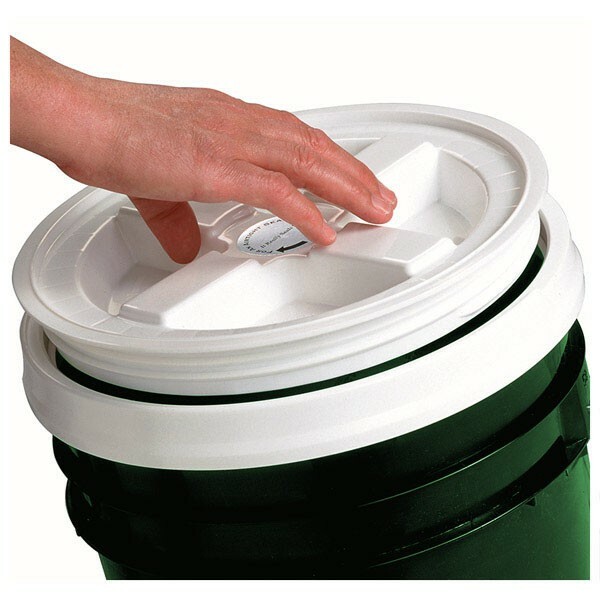 Check our article on buying 5 gallon buckets for many more details on this subject. Metal buckets should be compatilbe with gamma seal lids, although I haven’t tested it so please leave a comment if you’ve discovered differently. Metal and Plastic are not the only types of buckets we make. 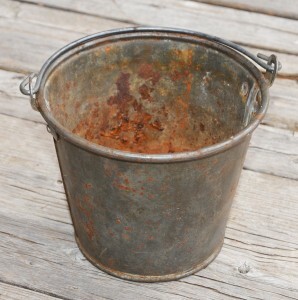 In previous eras, the most common bucket type would have been wood. Making buckets out of cloth or silicone allow for collapsibility and other benefits. If the prospect of all the different materials buckets are made of excites you, you’re probably a bucket fanatic like me! In most ways, it’s harder to modify a metal bucket. Drilling holes requires more skill and is more dangerous. Cutting a metal bucket requires more than just an exacto knife. However, metal will hold a crease while plastic will not. Many metal buckets are galvanized. This can introduce a whole array of additional problems when you’re hoping to modify a metal bucket. When welding metal, for instance, you may have to melt the galvanization off with a blow torch before you can join anything to a metal bucket. This will create some lovely fumes produced in this process should not be inhaled. I work at a movie theater. Most movie theaters get their popcorn butter/oil in metal buckets. I just started working there about a month ago, and noticed they just throw these buckets out! If you have a movie theater in your town, check with them and see what they do with theirs, and you may get them for free! Have about 100 5 gallon buckets you can have for free. whereabouts are you located and are they still available?